I made these this last Christmas and they were a big hit from both sides of the gluten and non gluten eaters! We host all the major holidays at out house. Both families love our cooking and we love to cook and entertain for our family and friends! My rolls I made on Thanksgiving did not turn out. They did not rise and were small hockey pucks, as I like to call them. So for Christmas I was on a quest to have the perfect gluten free dinner roll! Not all of us have gluten allergies, but some of us do. It is important to me, to be able to cook a dinner that we all can eat. I try to place myself in their shoes, and I would be very sad if I could not enjoy all the food that was at the dinner table, especially on holidays! After all , the dinner table is where everyone comes together to laugh, conversate, and sometimes criticize the cook! This past year, I discovered how to make my own version of Cup 4 Cup gluten free flour blend. That was the best day in my kitchen! Like winning the lottery for bakers! Since then, I have baked many goods with this blend. I knew that these rolls would be a winner using this blend. I had no idea that they would be this good though! So good, that I baked a double batch and froze half of them for another time. 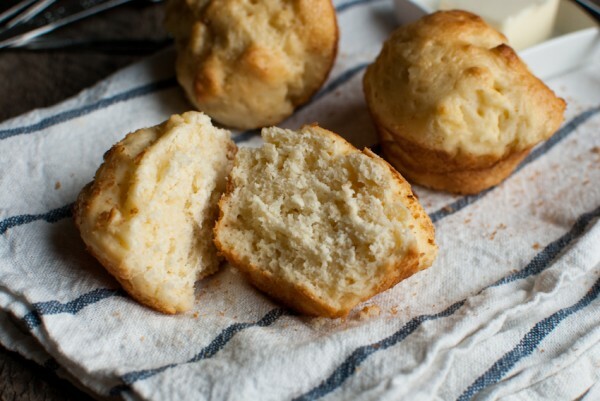 These rolls are so flaky and buttery tasting, you would never guess the rolls are gluten free. No hockey pucks this time around! 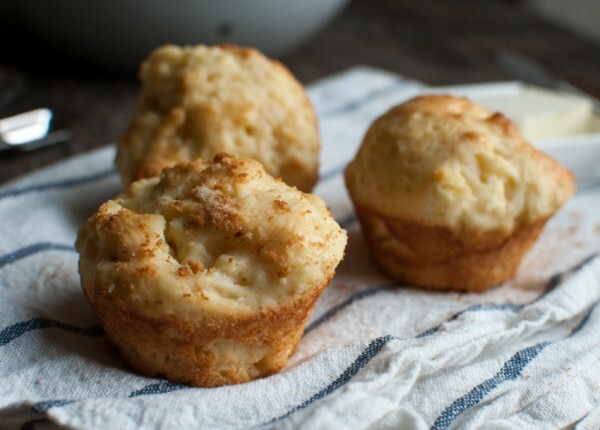 If you have ever baked with gluten free products, you know how tricky it can be. To gummy or to dry, it’s a science to get it just right! 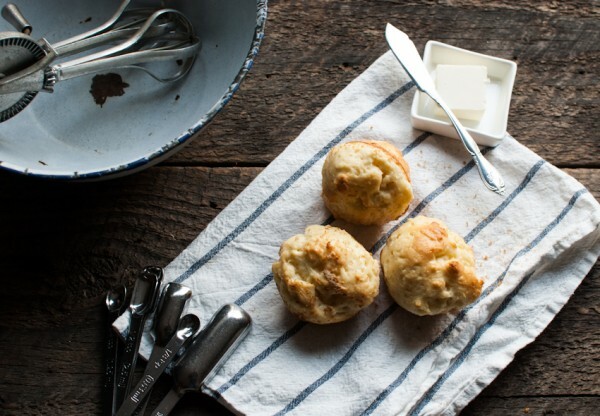 This recipe is so easy, anyone can pull it off. All you need is a little time, a heavy duty mixer, a muffin pan, and maybe a glass of wine :) I started these on Christmas morning after the morning festivities were over. Most of the time is in the rising of the dough. After our ham was done baking, we put the rolls in and they were ready when dinner was served. Now gluten free eaters can enjoy Brioche Rolls once again! ~Note, when measuring, either use a scale for the grams or the other. Do not try and do both. I used my baking sale, it's quicker if you weigh all ingredients out then mix together. Combine yeast and sugar in a small bowl. Stir in the warm water and set in a warm spot to proof the yeast for 10 minutes, or until foamy. Combine the flour and salt in a mixer with the paddle attachment. Whisk together, the eggs, yolks, honey, butter, and proofed yeast mixture in a medium bowl. It will be silky and not stiff like regular bread dough. Scrape down the sides and cover with plastic wrap, and set the bowl in a warm place until the dough has doubled in size. About 1 hour. Using a rubber spatula, deflate the dough, turning it over a few times in the bowl. Cover tightly with plastic wrap and chill for 2 hours. Spray the muffin tin with non stick spray. I use olive oil spray. Spoon about 1/3 C of bread dough into each muffin cup. Brush the tops with an egg wash, and sprinkle with salt. Set in a warm place, uncovered, and let rise for about 40 minutes. Turn oven on to 350 degrees, and bake the rolls for 15-18 minutes. Test with a wooden skewer for doneness and tops are golden brown. Yields 12 gluten free brioche rolls. I appreciate that you tried to find some brioche that everyone can enjoy! I admit I’m a little suspicious, but I do love brioche…!